A budding body of research in the area of addiction suggests that Internet Addiction Disorder is becoming a real predicament; it is a psycho-physiological disorder involving tolerance; withdrawal symptoms; affective disturbances; and interruption of social relationships. The most widespread one is Facebook Addiction Disorder (FAD). It is no secret that the Facebook website is being abused by those that use it constantly. The site is usually blocked at work computers and has officially been banned in Syria, China, Vietnam, and Iran. For those countries to take action against the site show it is hurting more than it is beneficial. Read more: Is facebook addiction existent? 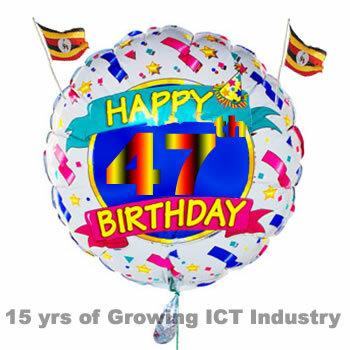 Happy Birthday Uganda: 47 years of independence and 15 years of growing ICT. I am very happy today my home country Uganda is making 47 years of Independence and 15 years of constant ICT revolution. Don’t you think that is great achievement! And guess what; am also part of revolution, my 6 years of exploring, learning and sharing with others has also made a difference. Don't you think? Well since I was not there when you Uganda got independence, I can not tell you much about it. But I can tell you something about Uganda’s evolving ICT sector. I would say Uganda started considering communication (or I would say becoming active in communication sector) when mobile communication was introduced in 1994 by company by then Celtel Uganda Limited today is owned and called Zain Uganda. However serious ICT revolution started in 1998 when MTN Uganda was introduced and started its operations in 1999. This was great achievement to Ugandans where by calls were made cheaper, ridiculous charges were scraped, things like service fee were removed, payments of airtime in dollars become history. Mobile communication shifted from the rich only class to everyone that wanted mobile communication. Internet through dialup, ADSL, Leased line also came to be hot product on market since 1999. Right now Uganda has over 5 telecommunication companies, over 6 Internet service providers and over 100 SMEs providing ICT services in the country. I have decided to compile a time-line list of ICT companies in Uganda and the great changes they have contributed to the country. Join me as I explore the 15yrs of great change in the Pearl of Africa Uganda. December, Celtel Uganda Limited goes live with GSM 900. Afsat Communications Uganda, vsat internet providers. Infocom: was a merge between Infomail first supplier of internet services and Starcom Ugandan Company hence forming Infocom an internet service provider in Uganda. Bushnet launches its data transmission and Internet services. April, Uganda On Line (UOL). This came as offshoot of MUKLA and started providing internet add on services to Uganda. This saw the birth of Uganda Domains (.ug, .co.ug. Swift Global (Uganda) Ltd launches its internet service products. UCC – Uganda Commissions Commission was formed after the Uganda Communications Act had been passed. February: UTL (Uganda Telecom Limited) was formed from UPTC (Uganda Posts and Telecommunications Corporation) as a fully telecommunication company. March – April: Dehezi International launched its internet services to Uganda. October: MTN Uganda Ltd goes live with GSM 900. SpaceNet lauches starts to provide wireless, dialup and hosting services to Uganda. Computer Frontiers International (CFI) was incorporated to provide ICT services. Africa Online (U) Ltd buys off Swift global and starts offering dialup, leased line, and mail services to Ugandans. CFI merges with UOL forming one giant domain registrar .ug, .co.ug Company in Uganda. One2net launches as an Internet Service Provider (ISP). One2net was born from Sanyutel. Uganda Telecom Ltd launches mobile services through GSM 900. EnterUganda.com an information portal was launched to provide information about Uganda. Datanet.Com LLC takes over takes over SpaceNet and continues to provide internet and add-on services. The Ministry of Information and Communications Technology (MOICT) was established with a mandate of providing strategic and technical leadership, overall coordination, support and advocacy on all matters of policy, laws, regulations and strategy for the ICT sector. Hits Telecom launches telecom services with GSM 900/1800. Warid Telecom Uganda Limited goes live with GSM 900/1800. Lwegatech Limited launched as internet add-on Service Company in the country mainly focusing on SMEs. ICTLabs launched providing only Hands-on Skills to Ugandans preparing them for ICT market. Orange Uganda Limited buys off Hits Telecom and launches immediately. i-Telecom launched as sixth telecom company in Uganda. ICT Magazine comes to online market to boost on providing informative content to the public around the world. Tangerine Uganda as broadband service providers. I love Uganda that’s a fact. But i don’t like the way things are managed around here , am an IT person who loves the latest technology and always want to learn something new and acquire more knowledge to do something for my community through ICT , For the last 10 yrs Uganda and East Africa has been facing problems of internet because we depend on the satellite for access .well compared to the rest of the world internet here is a snail racing with a BUGATTI VEYRON , For those who don’t know the Bugatti is the fastest car ever made, that’s how bad this internet in Ug is. For Goods sake we are in the information age and our constitution has nothing to do with it, am taking about software piracy, online fraud, hacking, internet security etc . am sure if one goes to our parliament and raised the issue , 80% will have no idea of what your taking about, 10% will say it is not important and the remaining 10% will probably try to listen in order to see where they gain from in order to make Quick dime what we know in Uganda as "Nfunirawa" for a direct translation i would put it as how do i gain (For God and My Stomach) . For the last 2-5 months we seemed to be getting out of this circus not until the minister in charge of ICT was changed i don’t know the trick behind the changing but he clearly knew what he was doing and we were moving on smoothly developing our ICT world. And then we were blessed with fiber that is connecting us to the rest of the world by Seacom which is already here then EASSy and Team on their way to but none seems to be concerned i mean the so called politicians because they don’t care probably don’t see the effect on them directly coz that's what they want to see. which will make these companies either exploit their clients like the rumors we have had already, well i would not like to go into that because they are private companies they can do what they like because there no laws for that. Uganda is has a very exciting neighbor who is driving its ICT at a breakneck speed , taking about Rwanda where its technology right is way beyond that of my dear Country. And i don’t have to pin on that too. Coz it makes me feel like firing the whole parliament and the Government. All they know here fight against each other talk about what they think will make the population love them and go against the other through the media, 95% of our radios at least have a program on politics every week where everyone says all the noise is there to say, but ask the these radios or other media houses how often they cover the ICT world , now they have moved from Land issues , witchcraft, tribalism, etc . Am not saying they should not be concerned. We are a poor country with less caring politicians let it be the government or the opposition they are all the same and they have all ignored the most important thing that can move everything faster than they expect because all they know is power and wealth. For several years I worked for a recruitment agency I carried out so many interviews I was amazed how Ugandans think that the only way to make it in life is to get a job some of these guys were really good in their profession but our job market can’t satisfy everyone. I don’t know if I should blame the universities for all the crap they fill us with. Or our three years university education culture of course works and exam most of us just set our eyes on looking for a job not trying to think outside the box. During the interviews I usually asked’ why nt find something u’re really good at and give it a try and get off the streets of Kampala. Most excuses i got were I don’t have experience honestly some of the richest guys in the world never worked for anyone and others were school dropout they just had an idea and went after it. Lets take a look at the big names in ict e.g. bill gates the founder of Microsoft maker of windows operating systems I think we all have used it one way or the other. This gentleman dropped out of Harvard University him and a group of three friends started up one of the most expensive brand in our times. if you’re not satisfied with that take a look at Larry Page and Sergey Brin these two guys founded Google from their campus room. My point is, let us look beyond our traditional way of life of attending campus and then hit the streets of anywhere you’re as human beings. We’re capable of anything we just have to think and stop the disease of self pity it doesn’t take us anywhere. There’s a friend of mine who changed careers from being a network administrator to a programmer not that he had to go back to school to learn! he just sat down and made use of the internet. Most people take internet for granted or fan mostly it’s for chating or socialising but there’s more to it. He has started up an internet add-on service company and I can assure you its one of the fastest growing web/online companies here in Uganda. We write so many job applications and waste a lot of money searching for jobs forgetting that if we stopped and really looked deep inside us we’re actually employed. I won’t deny it feels good to be employed but there’s no greater joy to stand one foot behind and overlook at something you created. Just remember we’re all capable of anything we need to dream and focus when you fail just raise up and try again. FACEBOOK makes my day and in return I make for it money! Can someone standout from the crowd, shame the devil that sabotages internet, provide slow internet to Africa! And answer these questions? How many times do you open your facebook account a day? How many times do you walk into internet café to only and only surf facebook? That means walk into internet café spend your shillings or dollars or whatever currency you have to just get to facebook. Comeon guys let the truth be told ……………… we all love facebook and it loves us too! !............................Anyone objecting to this? I suggest you unsubscribe from facebook! Can you imagine over 30 million people are on facebook all over the world! Ofcourse I add to the number so is you. Ok here is the history about facebook. Facebook was hatched in the dorms of Harvard by Mark Elliot Zuckerberg and his two roommates Dustin Moskovitz and Chris Hughes five years ago (February 4, 2004). By then Mark was just only 20years old. Him and his friends first made facebook a Harvard thing then later they decided to spread it to other five universities Stanford, Dartmouth, Columbia, Cornell and Yale and later on after few months went to schools that had contacts with Harvard. And that was it. Facebook has been a rolling gold stone for all those years and has continued to excite so many people around the world whereby they keep meeting their friends, relatives, ex-s that they actually lost contact in many years ago. Facebook’s ability to relate you to someone whom in most cases is 90% a person you know or you have ever met somewhere either through work places, socially or in that small bar in your neighborhood! Anyway still results come to be true. Businesses have adapted the idea of advertising with facebooks and most of them have rippled enormous profits due to mark’s innovative, brilliant brains. But guess what mark and his friends also at the end of day get something. 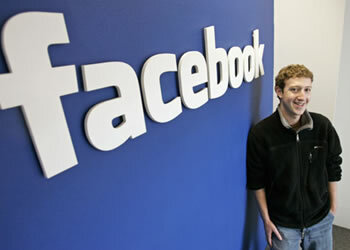 Mark Zuckerberg is estimated to be above $1.5 Billion as according to Forbes 2008. This means facebook as company is estimated to be worth $15billion USD and above and this all made possible because you’re part of it. Thousands and thousands of companies around the world pay facebook to have their products, services advertised there. Facebook has continued to also pay back to its royal users with enourmous applications that you can use to keep your profile a busy and interesting one. Also you can be able to start a group for friends, for your products, for your services or anything that you would like people to know about you and the community you live in. Of recent facebook acquired Friendfeed.com another social networking website. On top that it just launched its unique search engine. So as users we are to benefit a lot with facebook exciting, educative features and as for it will continue to ripple enormous profits. Way to go facebook….all the best!! DOES GOOGLE HAVE A COMPETITOR?